Is your system operating effectively? 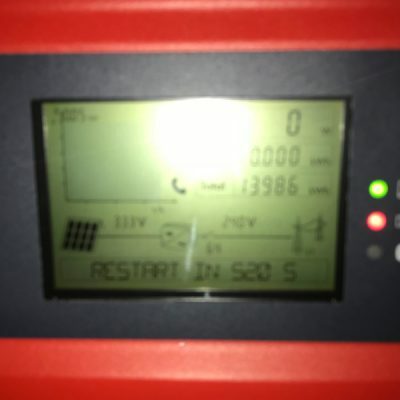 Solar panels require little maintenance but it’s recommended we come and check the system regularly as part of our ongoing after sales support to ensure you are getting the most from your solar PV system. The other parts of the system such as the inverter may require more regular checks to ensure maximum efficiency. Most of the above issues have an effect on your annual generation which will result in a reduction in Feed-in Tariff payments and investment returns. A quick service can highlight any issues. We will bring these to your attention, explain what can be done and give you a cost to fix the system. Click here to see our solar maintenance packages. For an accurate quotation tailored to your property, please call us on 01226 763 127. For Solar panels to achieve maximum output they need to be clean. Typically, cleaning your solar panels can increase efficiency by 10-20%. Panels can attract dirt and dust, particularly in rural areas, as well as salt and dirt particles from the wind and rain. Over time, a thin layer of dirt and grime will form, reducing the amount of light reaching the power generating cells of the panel. The effectiveness of the PV solar panel is then reduced. No matter how big the installation, whether ground mounted or roof mounted, we have the equipment to clean your solar panels professionally and safely. It is important that this work is carried out by a professional. Solar panels can be difficult to access and are often mounted on a roof. They also need to be cleaned with the right products and at the right temperature to avoid damage and product warranty validity. Maintaining clean solar panels will benefit in a more efficient output and prolong the lifespan of your system. Most solar PV systems will run effectively for many years. If your solar panels aren’t performing as expected, please call us on 01226 763 127 to arrange a maintenance visit. For an accurate quotation tailored to your property, please call us on 01226 763 127. Do you have an SMA inverter? How much warranty does it have left? Do you want to extend your 5 year warranty to protect your investment? All SMA inverters come with a standard 5 year warranty. Norcroft have recently secured a deal to offer extended warranties on all SMA inverters. The warranty extension can be for a further 5, 10 or 15 years and can be purchased through our SMA installer package. Please call us on 01226 763 127 for more information. The company who installed my solar panels is no longer trading. We have been called out to fix solar installations by a number of customers who have had a solar system installed by a company that is no longer trading. As a result, we have put together a solar maintenance package to support customers who are experiencing solar problems and have been let down by their original installer. This package is available to everyone, regardless of the installer. We recommend you have your solar panels cleaned once a year to ensure they are free from debris and are working to maximum efficiency. Solar panels in rural areas tend to attract more dust and may require more frequent cleaning. Is there a best time of year to have my solar panels cleaned? The best time of year would be in the Spring in the lead up to the summer months when your solar panels will work the hardest. The cost will vary depending on the size of the installation and how accessible the panels are. We would come and have a look at the installation and give you a quote tailored to your property. As a guide, please click here to see our solar maintenance packages.